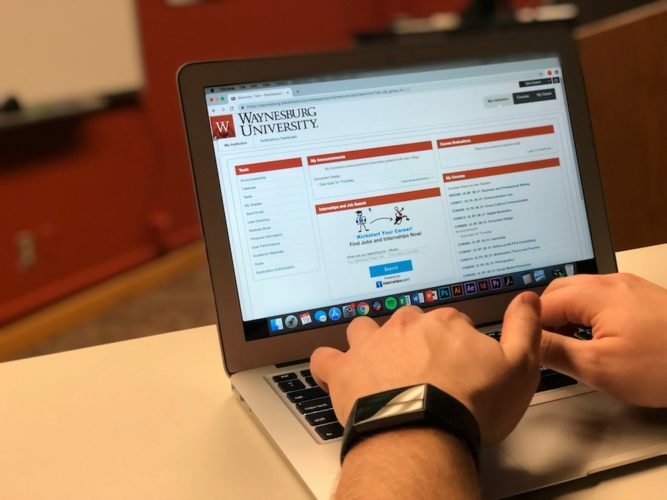 Waynesburg University’s three-year contract with Blackboard Learn will expire this coming June. Instead of renewing the contract, the university decided to change to a new learning management system, Canvas. Waynesburg’s senior staff appointed Jessica Sumpter, director of online programs, to gather a team consisting of faculty from the Information Technology Services, administration staff and instructors. The team’s goal of the team was to find a better LMS than the one Waynesburg currently was in contract with. David Patton, director of applications support, said the team found what they were looking for in Canvas. One of the factors the team looks for is the mobile device viewing compatibility with the system. What the team found, said Sumpter, is that Canvas surpassed Blackboard in this area as well. IT will have an icon for Canvas to the quick launch panel programmed into myConnect April 1. An MBA graduate course will serve as a trial run for the new program to ensure the system works properly. All students will begin using it at the start of the 2019 summer semester in May. For students that aren’t taking the graduate course, an orientation course is created and will be available on MyConnect. William Dumire, vice president for Information Technology Services, said the orientation course will be available hopefully by March. 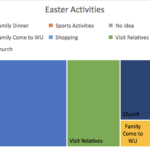 So far, IT has most of the integration for Canvas to communicate with Waynesburg’s systems almost complete. IT still needs to work on coding to transition from MyConnect to Canvas, but Sumpter and Patton ensure the problem will be fixed before the launch. Patton said the integration has gone smoothly because of IT’s experience with the process. Waynesburg signed a contract with Canvas for three years, which is currently underway so the system will be ready by the Fall 2019 semester. Compared to the Blackboard contract, Dumire said the Canvas contract will save the university around $100,000. Waynesburg University has a continuous goal of “better learning experiences,” Sumpter said. The learning management system switch from Blackboard Learn to Canvas is one way the university is accomplishing that goal. “It’s another tool students can use to enhance their learning and instructors to enhance their classrooms to provide excellent learning experiences,” Sumpter said.